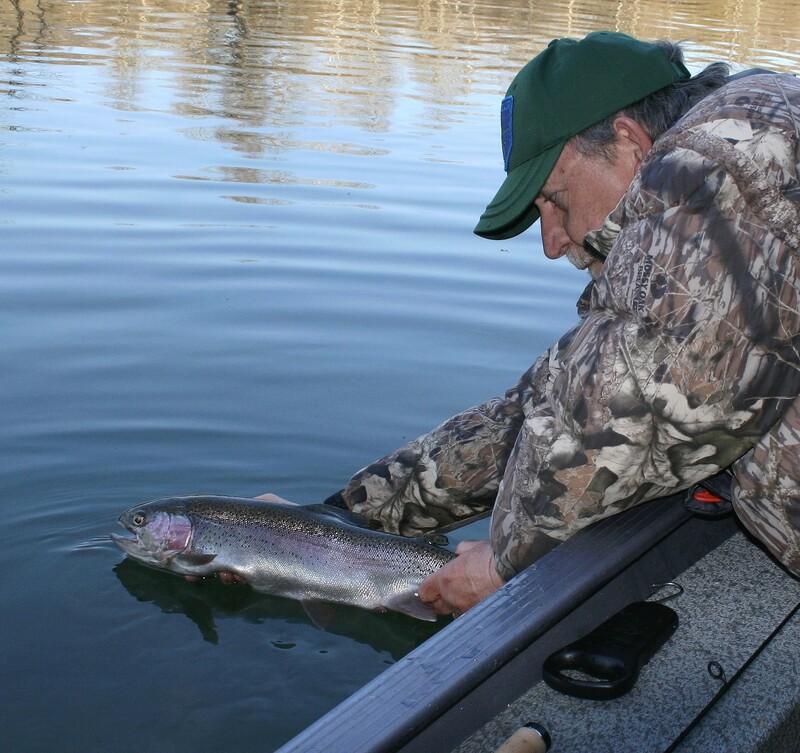 Fall offers good tail-water fishing for rainbow trout. 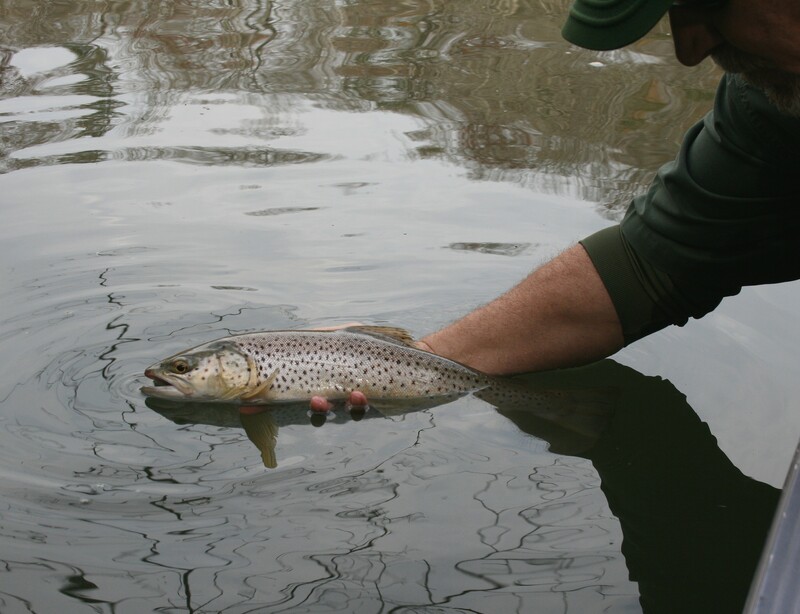 Brown trout spawn during fall so all should be released as quickly and gently as possible. 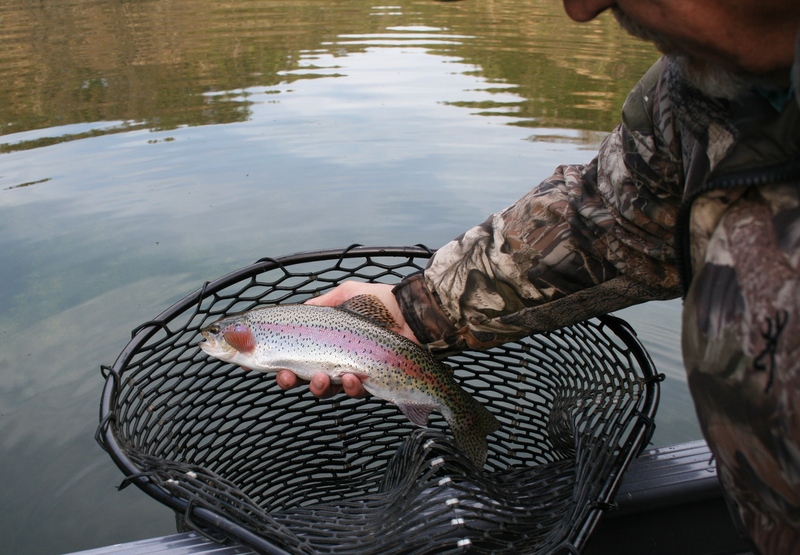 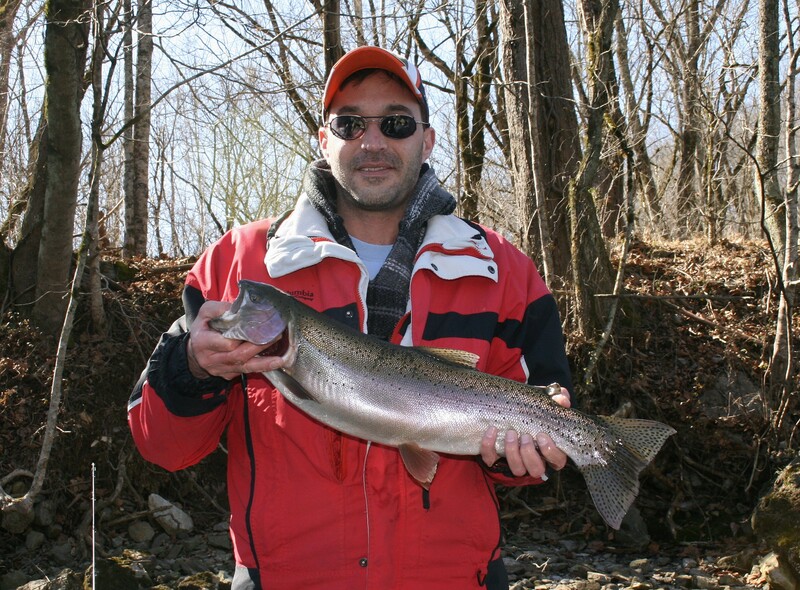 Large trout, like this five-pound-plus rainbow, are present in many southern tail-waters. 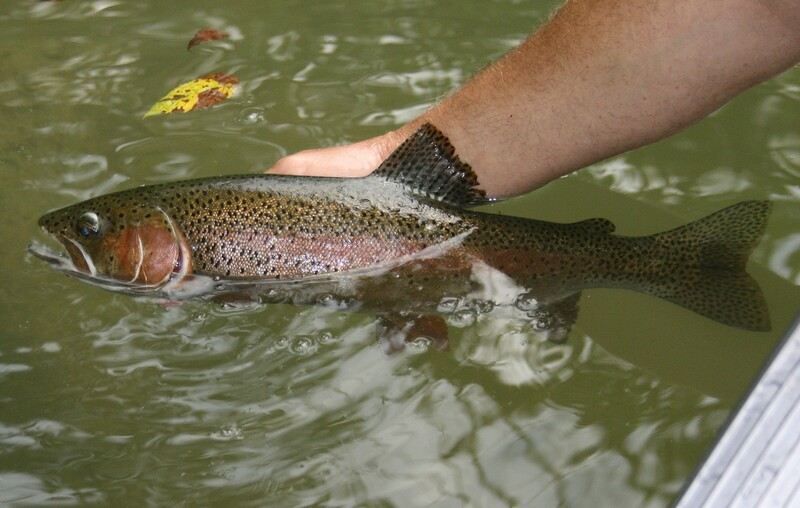 Most tail-water trout average between eleven and fourteen inches and many are beautifully colored. 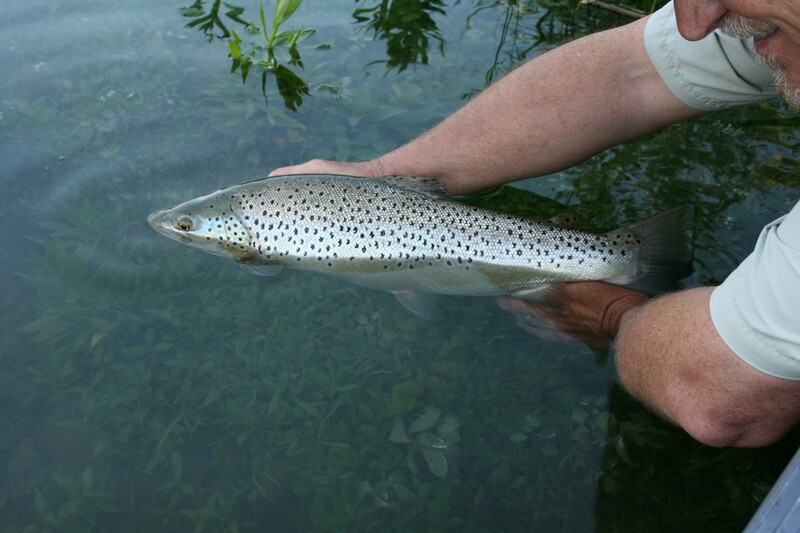 Brown trout grow large in many tail-waters where food sources are plentiful and water temperatures are ideal year-round. 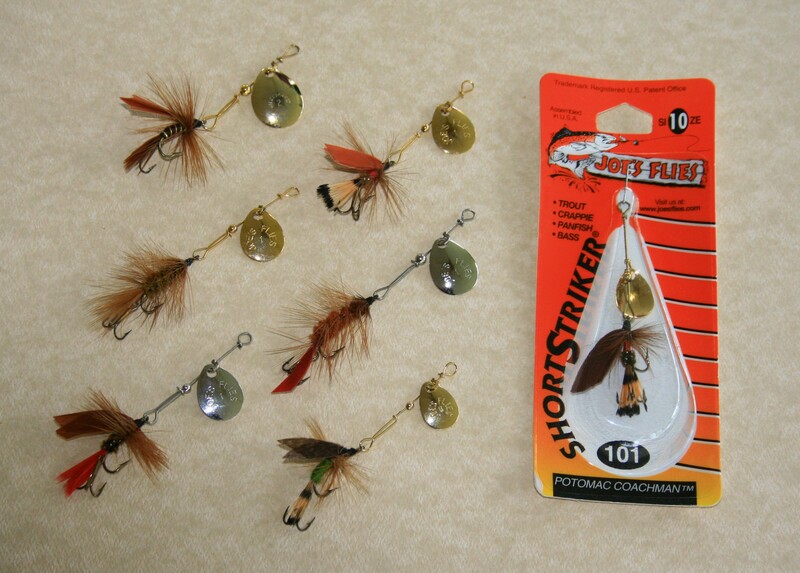 my choice for most winter tail-water trout presentations. 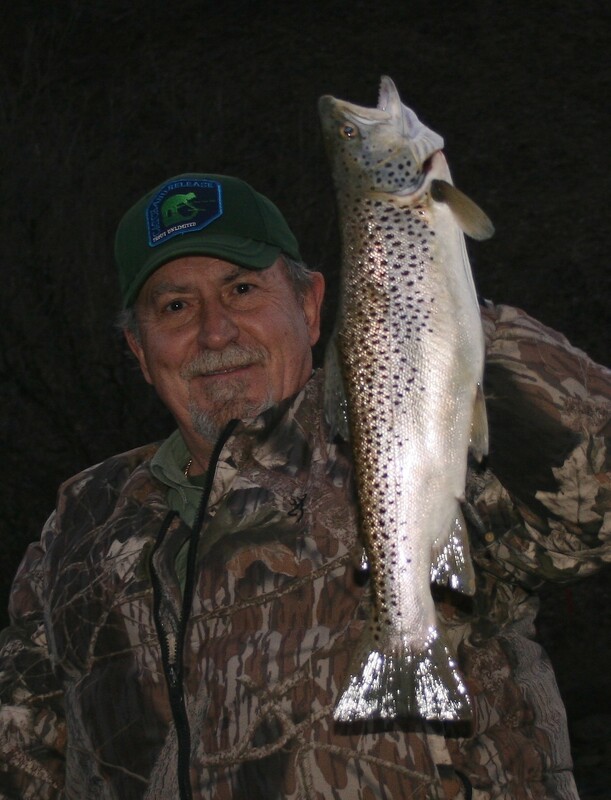 mild early January evening as a low-pressure system approached, three days before the full moon. 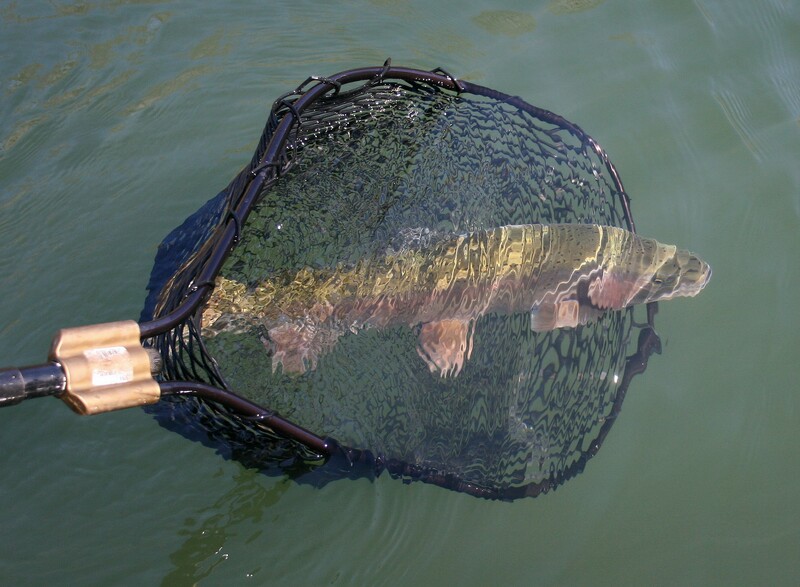 Release all the larger fish to preserve good fishing for the future. 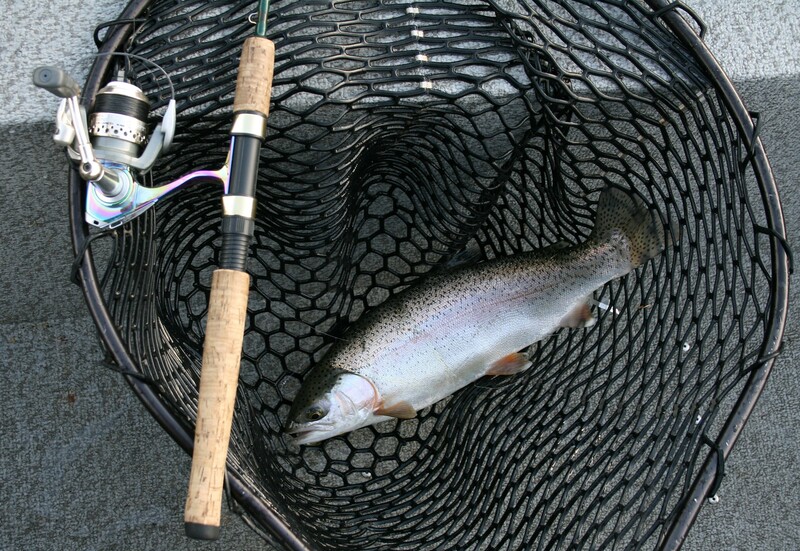 Practice CPR – Catch, Photograph and Release.